For nonprofits, accepting donations on the go often means using “knuckle-buster credit card imprinters” or old-fashioned checks. These are solutions that Roger Devine, co-founder of fundraising platform SchoolAuction.net, says expose not just donors, but also the charities to risk. Devine tells PYMNTS how payments-powered platforms can reduce risk, increase funds raised and streamline payouts to nonprofits — inside the latest Payments Powering Platforms Tracker. Nonprofits might not be raking in revenue or paying out shareholders, but they still need funding to operate. Multinational charities and larger organizations typically turn to a team of employees to handle fundraising hassles, but small, community-based nonprofits, like school organizations or parent-teacher associations, may not always have that luxury. Some of these small nonprofits may even have to rely on primitive tools like paper auction sheets, according to Roger Devine, co-founder of nonprofit fundraising platform SchoolAuction.net. Running fundraisers without modern or more advanced tools can quickly become a nightmare for event organizers and volunteers. All of that is beginning to change, though. Payments-embedded online platforms are looking to provide small nonprofits with a new set of solutions to make fundraising efforts more efficient and help them bring in more funding for their causes. Organizing and running events like raffles or auctions often requires a great deal of coordination, an undertaking that’s further complicated by inexperienced volunteers. While their contributions are well intentioned, using a pen and paper to record auction bids or accepting payments with outdated methods like “knuckle-buster credit card imprinters” can lead to problems like volunteer burnout, Devine explained. Imperfect and primitive methods can also result in costly errors. However, running these events without tools like donor databases and related software means companies run a relatively large risk, Devine cautioned. To address this, SchoolAuction’s payment platform allows organizations to accept bids entirely online, with donors completing transactions from a connected device’s browser. Donations can be made in person during an event, or via a hybrid model that allows the recipients to accept them both in person and online. SchoolAuction most recently rolled out a new feature — a mobile donation engine — that enables donors to complete transactions via their smartphones during or in advance of the event. These solutions make it easier for nonprofits to track who’s made bids, which bids won and other information about donors and their contributions. They’re also designed to simplify the payments acceptance process by enabling nonprofits to accept donations online, eliminating the lines that can form and discourage auction winners or other patrons from gifting money to the cause. SchoolAuction’s platform also works to reduce the time nonprofits must wait before they receive donated funds. Money is sent directly to an organization’s bank account after each donation is completed, rather than being held by SchoolAuction until the event has finished. This means groups can access the donations instantly after they’ve been processed. Devine’s team is part of a growing group of platform developers who hope to help small nonprofits and community organizations step up their fundraising efforts. Unfortunately, these solutions can sometimes eat into an organization’s already tight funding by forcing them to forfeit a cut of each donation — not only to the company processing the payments, but also to the software platform itself. SchoolAuction enables organizations to choose from more than a dozen payment processors that suit their needs and doesn’t charge additional fees for accepting payments via the platform. This enables nonprofits that are already working with a payment processor to integrate that existing business relationship into SchoolAuction’s platform. Shopping around can help nonprofits save money on processing, but it’s often a time-consuming process. This is especially cumbersome for small nonprofits, because, along with a small number of total employees, they often do not have employees or volunteers with the time and expertise to complete a complex contract negotiation quickly and effectively. SchoolAuction recently added payment services company WePay to its list of payment partners, which will give nonprofits an easier way to get started with SchoolAuction. Going forward, Devine’s team will continue working to update the platform with additional features, giving small organizations even more control over their fundraising processes and events. After all, as more business is conducted online, collecting auction bids and charitable donations with primitive tools like a piece of paper and a pencil just won’t do. 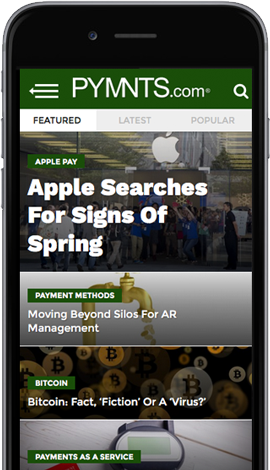 The Payments Powering Platforms Tracker™, powered by WePay, serves as a monthly framework for the space, providing coverage of the most recent news and trends, along with a provider directory highlighting the key players contributing across the payments-integrated platform ecosystem.